What follows is more or less a rough approximation of my notes for a presentation I gave on Monday at a conference organized by the United Nations Development Program and the Institute for Elections and Citizen Participation of Jalisco. The panel, “Technological Platforms, Social Networks and Political Action,” also had the contributions of Jorge Soto of Citivox, Egyptian activist Gigi Ibrahim, and Ezra Chiloba Simiyu of UNDP Kenya. Today I want to talk about two crucial ingredients of successful digital activism and online civic participation that receive little attention: fame and anonymity. Last week I was having beers with some of Mexico City’s most well known online activists. It was this group that helped remove a 3% tax on Internet access and stalled the construction of Vía Express here in Guadalajara and Super Via in Mexico City. As I glanced around the table, I realized that these tech savvy activists looked like any other Mexico City youth out for a Friday afternoon beer. The major difference is that, collectively, they command a Twitter following of around 30,000 users. They have become “Internet famous,” which means that when they talk, politicians are forced to listen – and, frequently, respond. But what is “Internet famous”? 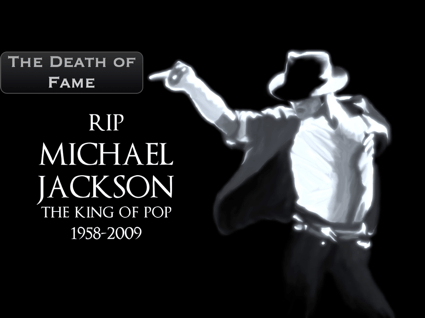 When Michael Jackson passed away in 2009 many media commentators remarked on the death of something far greater, fame itself. In 1982 Michael Jackson sold over 100 million copies of the album Thriller. That is greater than the population of Mexico at the time. Compare that to the greatest selling album of last year, Eminem’s “Recovery,” which sold a humble 3.42 million copies. Everyone in this room knows at least some of the lyrics to songs like Thriller, Beat It, and Billy Jean. But only a handful of us know the lyrics to any of the songs from Recovery. This also holds true in television. In 1953 around 70% of American households watched the television show I Love Lucy. Last year the most popular television show in the United States, Two and a Half Men, was not able to command the attention of more than 5% of Americans. Meanwhile, Ryan Higa – a young Asian American from Hawaii who uploads videos in his spare time – has over 3.2 million YouTube subscribers – more than Lady Gaga or Justin Bieber. Though Mexico is still the medium of the day in Mexico, it is starting to lose its grip here as well. In 1976 El Chavo de Ocho had 350 million viewers worldwide. Today the most watched television show in Mexico is Triunfo del Amor, and while it still has far more viewers than is rationally explicable, it pales in comparison to the audience of El Chavo del Ocho in the 1970’s, despite the fact that more Mexicans have television sets than ever before. So what does this all mean for the future of fame and the future of activism? When I Love Lucy aired in the United States it was still illegal in 15 states for a man and woman of different ethnicities to marry. By reaching an audience of nearly 70% of American households, the relationship between Lucille Ball and Desi Arnaz was able to normalize multicultural marriages for an entire nation. Today any one television show can only reach a small minority of a country. A few years ago internet researcher David Weinberger attempted to explain the differences between broadcast fame and internet fame. 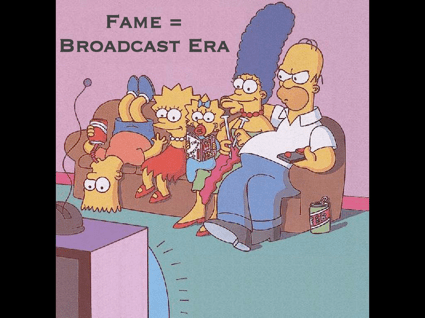 Fame, he says, is a product of the broadcast era. Fame is built on the assumption of one to many communication — that I am able to speak to all of you, but you’re not able to speak back to me. 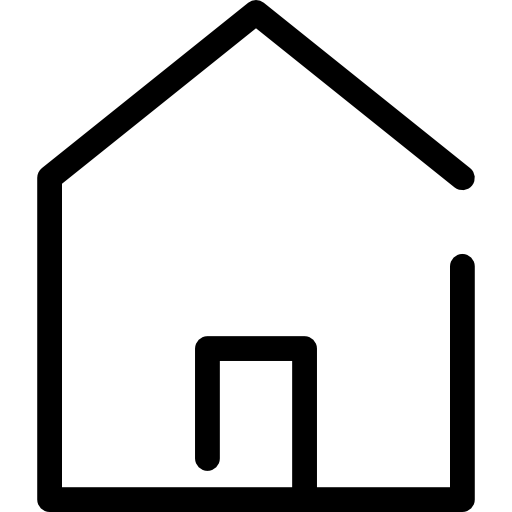 According to Weinberger, Internet fame is completely different – it is participatory. On the Internet Televisa doesn’t get to decide who is famous — we all do. People are made famous because we cite them on Twitter, we link to their blog posts and videos. Andy Warhol once said that we all wanted to be famous for 15 minutes. That is, we all wanted to receive our limited 15 minutes of broadcast fame on television or radio. David Weinberger says that on the Internet we will all be famous to 15 people – those who follow us on Twitter, YouTube, and our blogs. It is a democratic & egalitarian view of how attention is distributed on the Internet, but, in fact, it rarely works out that way. A new study of Twitter content consumption by Yahoo Research found that more than 50% of the content that is actually read on Twitter is produced by just .05% of users. In other words, there are around 20,000 elite users who are responsible for more than half of what is read on Twitter. While most Internet activists depend on fame and popularity to bring about change, others depend on their anonymity. There’s no greater example of this than the anonymous leaks that are published on Wikileaks. CableGate is the most famous, but Wikileaks also published the personal emails of Sarah Palin, a collection of secret documents about the hierarchy of Scientology, a list of member’s of the UK’s far-right British National Party, and many others. Anonymous activists also responsible for the pictures that came out of Myanmar and Iran during the major protests. Anonymity lowers the barrier for everyday individuals to engage in activism. Take the case of Wael Ghonim. In 2010 Wael moved from Cairo to Dubai to take a job as Head of Marketing of Google Middle East and North Africa based at Google’s United Arab Emirates office. Later that year, in June, Wael anonymously created the Facbook page “We are all Khaled Said” to commemorate the passing of a young man who was beaten to death by Egyptian security forces in broad daylight. The page demanded greater accountability and oversight of Egyptian police, and its followers soon grew to over 350,000. Ghonim viewed it as an opportunity to inspire real action, to remove Mubarak from power once and for all. Inspired by the successful mobilization in Tunisia, Ghonim invited the Facebook supporters to take to the streets on January 25. He asked his bosses for a couple weeks off, citing personal reasons. Ghonim protected his activist identity obsessively, and with good reason. Two days after the protests began, he was detained by Egyptian police and questioned for his role as the administrator of the We are all Khaled Said Facebook page. Twelve days later, on February 7, Ghonim was released from custody and made an emotional appearance on television that helped catalyze and amplify the protest movement. It is doubtful that Ghonim would have become involved in activism at all were he not able to maintain his anonymity. But it is equally important to point out that despite his insistence that Egypt had a “leaderless revolution,” his inspirational role eventually depended on his public persona, his fame. I’ll keep my identity anonymous even if a revolution kicks in and this government is kicked. Cause the reason why I think we are fucked up in this country is that everyone is looking for his personal fame. Everyone starts somewhere with good intentions. Then eventually they get corrupted. But the vast scale of online activism and the limited attention span of politicians make necessary a select few “famous activists” — like Andres Lajous, Leon Felipe Sanchez, and Maite Azuela here in Mexico — who can serve as ambassadors between the hundreds of thousands of Internet users and the few hundred politicians who allegedly represent them. While anonymity allows activists like Salam Pax and Zimpundit to publish information without losing their jobs or risking their safety, online anonymity also permits criminals to spread fear while avoiding the reach of police. The Gulf Cartel once has its own official YouTube channel. In the border town of Reynosa, where fighting between the Zetas and the Gulf Cartel has been the most intense, a Facebook message that warned of an upcoming shootout caused the entire city, including schools and shops, to shut down. (The predicted shootout never did take place.) In Colombia there was even a hit list published on Facebook that led to the murder of three teenagers. Mexican politicians have responded by proposing a law that would give them power to block websites that facilitate the breaking of the law. It would also make illegal the publishing of information that helps anyone break the law or avoid the police. In practice, the law could provide the government a handy excuse to censor legitimate information that helps hold government officials accountable, such as this video of soldiers harassing reporters at the scene of a shootout in Nuevo Laredo. Already the Mexican government is using copyright claims as a mechanism to censor online protest. However, the government is quickly becoming acquainted with a concept called the Streisand Effect, “a primarily online phenomenon in which an attempt to hide or remove a piece of information has the unintended consequence of publicizing the information more widely.” We saw this last month when a federal judge attempted to remove the documentary film Presunto Culpable from movie theaters. It was the best thing that could have happened to the film. Within hours it became the fastest selling product of pirate DVD vendors on the streets. There was even a double irony. When activists uploaded the film to YouTube, the director ordered it removed because he didn’t want to lose revenue at the box office. That only spread the distribution of the film further – it was re-uploaded dozens of times to YouTube and other video-sharing websites. In the realm of online activism we need anonymity to inform and we need fame to influence and transform. Spitz is advocating for the right to live our lives more anonymously in an era where our every move can be tracked. But in order to do so, he had to become famous himself. A reminder that it was because of Ghonim’s anonymity that Facebook initially took down the “We Are All Khaled Said” page in November, requiring someone to step in as administrator. Luckily, Ghonim had a contact in the US willing to do so for him. Not every anonymous activist is so well-networked. That’s a very good point, Jillian. I had planned a whole section looking at your writing on Facebook and anonymity, but as usual, succinctness has never been my talent. Excellent talk – scary and encouraging at the same time. And the illustrations with MJ and Eminem and I Love Lucy etc not fluff but really drove the points home. I hardly believe that a local comunication office of Jalisco can make the whole Mexican government responsible for censorship… whereas Geraldine might think that (she tends to be subjective about this things, more maybe than her counterparts in goverment), I think many of us would only see a stupid move from a stupid chief (and maybe not even chief) of comunication in Guadalajara. I can imagine old fashion politicians all over the world doing this kind of stupid mistakes and trying to take the easy road towards discussing things on the Internet, but I just don’t think that Mexican goverment as a whole right now can or wants to do it; if anything, I think they rather have the discussion happening with few people than making huge trends of topics by trying to censor them. In the realm of online activism we need anonymity to inform and we need fame to influence and transform.<– and yet didn't We Are All Khaled Said do all three anonymously? Its admins were anonymous when they amassed a large crowd online and still anonymous when that crowd took to the street. Or do you think that the crowd would not have taken to the street/stayed there if other, non-anonymous figures, i.e. Asmaa Mahfouz, hadn't implored them to? Or if other factors like the internet shut-off hadn't happened? To your first point, Susannah, which is very interesting, what’s odd about all this is that, while Facebook doesn’t allow anonymity, “Pages” are inherently anonymous, which is to say that, unlike Groups, you can’t see who the admin is, regardless of the status of their personal profile. I’d be curious to look at other cases of mobilization and whether that (Page v. Group) comes into play. Essentially, I’m not sure we “need” anonymity, but I also don’t think it’s necessarily a deterrent or barrier to gathering momentum. Susannah, I can’t pretend to be an expert on the specifics of how the Egyptian revolution unfolded, but it was my impression that there was a significant boost of energy and involvement following Ghonim’s TV interview when he was outed as the main administrator of the page. I do think that the network effect of social media tends to be the main driver of these types of mobilizations. That is, what is most important is that citizens realize that so many others feel the same way that they do. But I also find – especially here in Latin America – that the most successful online movements involve key participants with 5,000 – 25,000 Twitter followers. In Colombia the march against the FARC was practically appropriated by the government and the mainstream media. In Mexico all of the major online movements (#viaexpres, #supervia, #votonulo, #internetnecesario, #stopacta, #wikibanqueta) have been lead by a group of the influential activists I mention above. A good followup question to your first point, David, would be: What prompted that excitement? Was it Wael Ghonim’s status at Google, or his being a self-identified non-activist? Or was it something else entirely? Well, David, it was a very illuminating presentation and being on your panel was inspiring too. I am thinking through your ideas and measuring them against our own experiences here. Let us see how these experiences stretch our understanding on the power of social media to influence change.